Are you ready to party? Decorating for parties can be as much fun as the party itself. Especially when you can find something to decorate that not only adds a personal touch, but is pretty enough to reuse for other decorating projects around your house. Did you know that you could use wall decals by Wallternatives not only to give a personalized pattern touch to the special rooms in your home, but also to set the stage for your next celebration? Their easy peel and stick application can help you set the tone for a fun themed party within minutes! Read on for 4 great party decorating with wall decals ideas…. 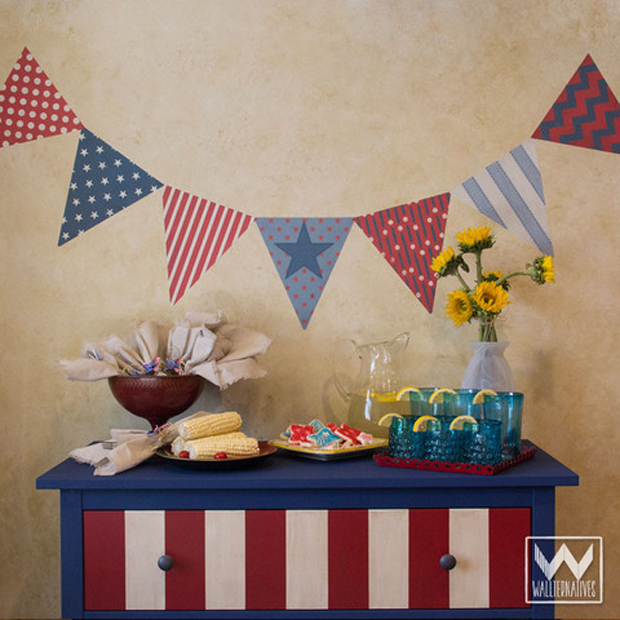 With 4th of July just around the corner, we were inspired to create these fun Patriotic Bunting WallPrints™ for a little party of our own! 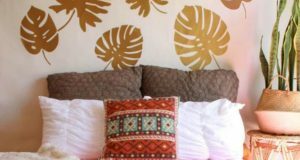 WallPrints™ Fabric Wall Decals are a great peel and stick decorating idea that is not only easy, they can be easily removed and reused. So, when the party’s over, these patriotic pennant patterns can be easily saved for next year, or repurposed for a nautical themed nursery or boys room. Speaking of buntings, we haven’t forgotten our girls! 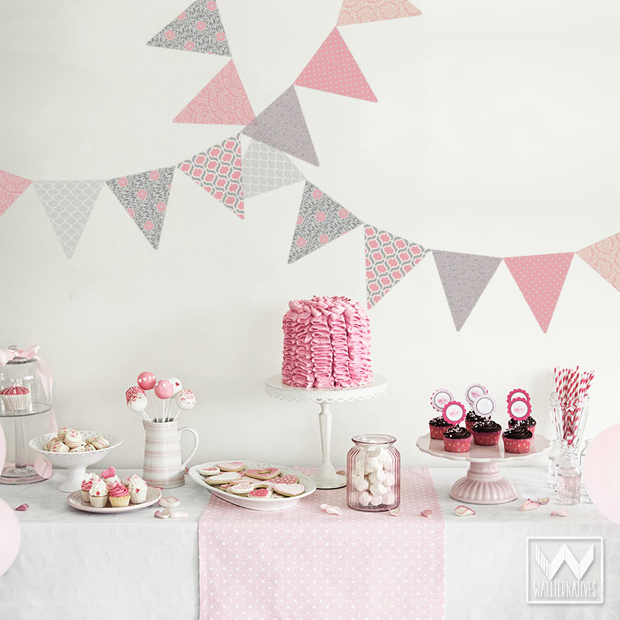 This pattern pack of seven pretty pennant flags would make for an adorable backdrop for a little girl’s pink-themed birthday party or brighten up a baby shower. The Garden Bunting Flag WallPrint™ set is available in two sizes and three charming color schemes. 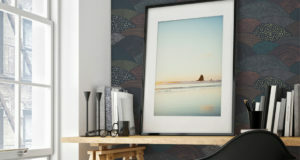 Post party, they become the perfect way to decorate a nursery or craft room, or even be gifted to the person of honor! How cool is that?! We’re not the only ones with patterned party decorating on our minds. Some of our DIY blogging friends have also came up with a few fun themed party décor ideas using our Wallternatives™ wall decals. Let’s take a look…. I have to tell you how EASY it was to use the fabric decals by Wallternatives! … For the party, I actually applied the hot air balloon directly to the clean glass of the picture frame. Once the party was over, I removed it and applied it to my son’s bedroom wall. Donna’s blog post, Hot Air Balloon Party – Wallternatives Fabric Decals, describes in detail how you too can get the look for a cute baby shower like this. 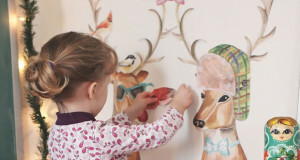 And like her, you can always repurpose these fabric decals to decorate your kids’ room! I absolutely love using vinyl to dress up party favors, but until recently, it never even occurred to me to use it as a backdrop! I can assure you I will be using decals again very soon! 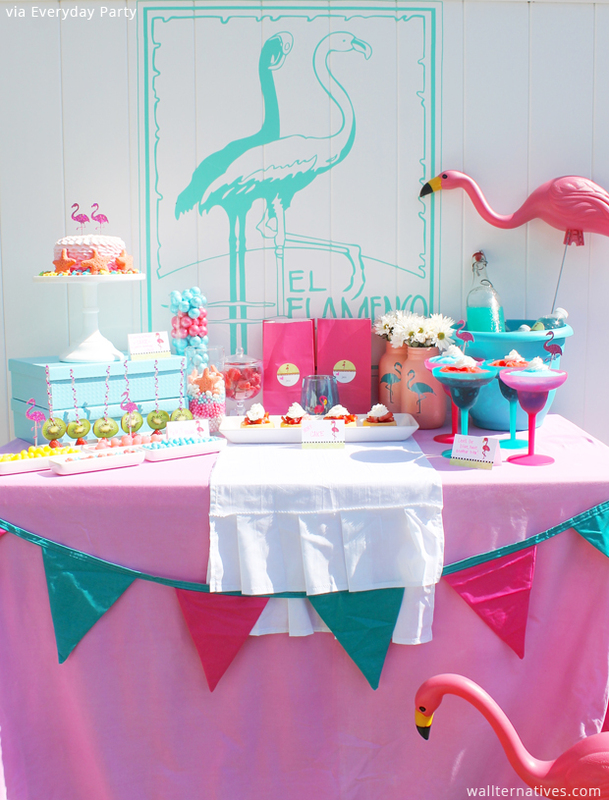 Be sure to check out Jessica’s blog post, Flamingo Party using Wallternatives for more details on how to put a fun flamingo summer party together for yourself. Unlike our fabric decals, Designer Vinyl Decals cannot be removed and reused that easily because of the nature of its material. If you would like to reuse your vinyl decals, we recommend you put them in a frame or a clean, mobile surface like a piece of glass or wood. That way after the party, you can easily move it around the house if you like. Fabric and vinyl decals from Wallternatives™ are perfect for decorating a kid’s birthday party, a baby shower, a wedding or just for a fun get together with friends. Of course, they can also make for unique and adorable gifts! And like we said, the fabric decals can be easily moved around and reused after the party. The perfect party gift that keeps on giving! So what are you waiting for? Let the party begin with wall decal decorating! We would love to see your creative ideas using our decals, so please do share them with us on the Wallternatives Facebook Page. Follow us on Instagram and be sure to tag your photos with #wallternatives.